Two of the Royal Canadian Navy’s Victoria-class long-range patrol submarines will be fitted with Kelvin Hughes’ SharpEye downmast submarine navigation radar. The submarines are currently equipped with Kelvin Hughes 1007 radar, but the SharpEye system will enable surface contacts to be detected earlier and at longer range. 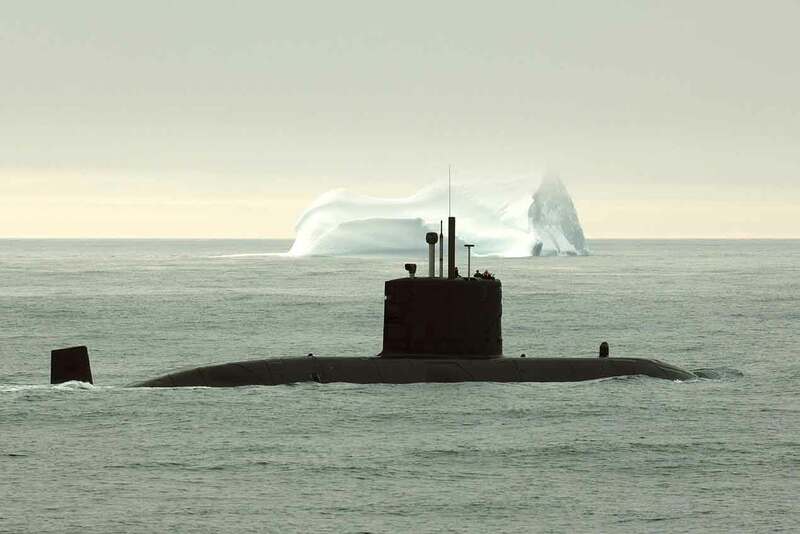 “This upgrade for the Royal Canadian Navy highlights the need for submarines to be equipped with modern high performance radar rather than the legacy magnetron systems that many of them are still using,” says Adrian Pilbeam, Kelvin Hughes’ vice president. With solid-state technology at its heart, the I-Band transceiver of the SharpEye uses the existing bulkhead infrastructure as well as the external antenna, rotational drive and waveguide connections. A series of electronic filters enables the system to distinguish between contacts of interest, including those with a low radar cross section and the environmental clutter caused by adverse weather conditions. Traditionally, submarines have only used radar for navigation in and out of port because high power RF transmissions can compromise its ability to remain undetected. However, with its low power output—up to 300W as opposed to the 25kW of legacy submarine radar equipment—Kelvin Hughes says SharpEye can significantly reduce the probability of detection by electronic support measure systems.